Part one of our Headphone Shoot-out provided some great sounding headphones. I’m even more excited to start Part two of the Headphone Shootout. We have some in-ear monitors in this part of the Headphone Shootout that look spectacular! This years IEM’s include Echobox Finder X1, AKG N40, Audiofly AF1120, Beyerdynamic Xelento Remote, Westone Signature Series W80, and Ultimate Ears UE18+. Most of them are actually top of the line models, so we should have a fun shootout. First up is the Echobox Finder X1. With a MSRP of only $149, they give a great feature set. The housing is made of titanium for light weight and durability. Silver plating provides improved conductivity. German made PEEK drivers provide great sound. And there are separate turnings filters for bass, balance or treble. The Echobox Finder X1 came in a nice printed box with photos of the IEM and it’s features. Materials used and the construction was mostly metal with some plastic. The quality of the materials used was good, as was the fit and finish. Also included was a hard zippered case, and a nice holder for the different sized tips and tuning filters and manual. Next up is the AKG N40 IEM’s. They are a new model for AKG, designed for Hi-Res Audio. AKG is known for their great sounding products, and these AKG N40’s seem to be a continuation of that tradition. With an MSRP of $399, they also give a big bang for the buck, with a lot of features. The AKG N40 came in a nice looking printed box, with photos of the IEM, and their specs. There is even a clear plastic window so you can see them. Materials used in the construction was both metal and plastic. Quality of materials used, as well as the fit and finish, was very good. To add to their bang for the buck, they also came with a lot of accessories: a hard zipper case, wax tool, airline adapter, multiple sized ear tips, sound filters, and two different cables. One was a regular cable, and the other had a built-in remote. I always love seeing detachable cables. Now it's time for the Audiofly AF1120. Audiofly has been providing great quality IEMs for several years now. And these Aussie's who have a knack for big bang for the buck products keep stepping up their game. And they appear to have done it again with the new AF1120's being a 6 driver design for only $699 MSRP. The Audiofly AF1120 came in a really nice color printed box, with photos of the IEM, and their specs. Materials used in the construction was mostly plastic, with some metal and cloth. Quality of materials used was very good, as was the fit and finish. You could tell they were a very well made product. And I loved the clear plastic housing, so you can see the drivers and crossover. The cloth covered cable is also a nice touch. Also included was a really nice cloth zippered carry case, multiple sized ear tips, airline adapter, wax tool, ¼ inch adapter and manual. Next up is the Beyerdynamic Xelento Remote. Beyerdynamic is a well known German headphone manufacturer with a solid reputation for great sound. Their Tesla driver is award winning. Now they have a miniaturized version of the Tesla driver incorporated into the Xelento Remote. They are also marketed as an audible piece of jewelry. And with the high-gloss metal housing, they are absolutely gorgeous! And with an MSRP of $999, this great looking jewelry will sound excellent as well. The Beyerdynamic Xelento Remote came in a excellent looking color printed box, with photos of the Xelento Remote and it’s specs and features. Opening the box revealed a very well secured product. Materials used in the construction was mostly metal, with some plastic. The quality of materials used, as well as the fit and finish was also excellent. The Beyerdynamic Xelento Remote is a premium top of the line product that they have a lot of pride in, and it shows! Also included is the owner’s manual, 2 sets of cables (one of which has a built in remote), multiple sized ear tips, and a carry case. A company that needs no introduction in regards to hearing products is Westone. For decades they manufactured hearing aids. They used that technology and expertise to expand their product line to IEMs. And being cutting edge isn’t good enough. Now they offer an eight driver model, and it’s offered in a universal fit in the Signature Series W80. With an MSRP of $1,500, these are for those who enjoy the finer quality sound. · In the Box: Exchangeable silver, gold, red, and new blue color faceplates are included with secure attachment. Five sizes of patented STAR™ silicone ear tips and five sizes of premium True-Fit™ comfort foam ear tips, MFi three button cable, a ALO Audio cable, Premium Deluxe Carrying Case, Premium Small Carrying Case, cleaning tool and cleaning cloth. · Warranty: 2-year warranty (Warranty Information). The Westone Signature Series W80 came in an elegant looking black box, that included photos and specs and features of the W80. Opening the box revealed the most advanced storage system I have seen in the hard zipper storage case. Materials used in the construction is mostly plastic with some metal. Quality of materials used is excellent. I love the feel of the soft plastic cable. Fit and finish is also excellent. I also like the extra cable. So with the IEM’s you get two sets of high quality cables. One of them has a built-in remote. In addition to the two cables is a ton of other accessories in cases, bag and multitude of different sized ear tips, different colored back plates that can be switched out, a wax tool, microfiber cloth, and manual. The Westone Signature Series W80 is a top of the line product, and it shows. The product, accessories, and even the presentation of the product. Westone nailed it! Now briefly back to the hand zippered storage case. My first thought was how big it was, then it’s impeccable quality. I opened it up to see multiple compartments. A stretchy fine mesh material on the left side of the case helps to hold the items in the 3 compartments underneath in place. In the middle is a divider to separate the two sides of the case. On the right side is a custom hard foam molding to hold the W80’s in place while they’re stored. Below it was a 2nd smaller hard zippered case. Also included was a cloth carry bag. So there’s a large hard case, a small hard case and a cloth carry bag. I’ve never seen so many storage options provided by a manufacturer! Whatever your needs may be, Westone seems to have you covered. Last but not least is the Ultimate Ears. Ultimate Ears is another manufacturers that is well known for top audio products. They should be for name sake. After all they are Ultimate Ears! Not being content to stand on their laurels, they now have a new UE18+ custom IEM with 6 drivers and a unique 4-way crossover. With the Ultimate Ears UE 18+ being custom IEMs, I was custom fit by an Audiologist. They actually used a laptop and a handheld digital scanner, to scan my ears and create a digital 3D map of my ear canal. It was really cool, and worked extremely well. The digital scan was used to make my custom fit UE 18+. And the fit is perfect. Since the UE18+ was custom made for me, they were shipped straight to me in a standard cardboard box. Opening the box revealed a simple and elegant black box. On the side of the box was a certificate of Authenticity sticker. It had my name, the model number, the serial number, and an initial by who inspected it. Opening the box showed an aluminum case held in black velvet. The top of the hard cylinder case showed the Ultimate Ears logo, and under it inscriber “handcrafted for Jeff Roy.” Pretty cool! Removing the round lid revealed a rubber ring around the cylinder to help seal them. Although I personally wouldn’t toss it in water. LOL. Looking in I saw the custom UE18+. Included with them was a wax tool and owner’s manual. Materials used in the construction was mostly plastic, with some metal. Quality of materials used was excellent. The quality of construction, and fit and finish was just as excellent. I loved the fact that I was also able to design them with the colors I wanted. I choose a clear, light blue end piece and clear white plastic for the rest of it, so I could see the internal drivers, wiring and crossover network. So we know the products look good, and they have some pretty good specs. Many of them have multiple sound filters, so you can customize the sound. But how do they really sound? Let's find out. For those with multiple filters, I kept it at the neutral sound filter. And to test different sounds, we went with a few different sounds from different genre. First will be Twenty One Pilots: Heathens, followed by Kansas: Carry On Wayward Son, and lastly Fresh Aire: Going To Another Place. And we will work our way in the same order with Echobox Finder X1 first, and work our way up to the Ultimate Ears UE18+. First up is the Echobox Finder X1. Twenty One Pilots: Heathens, percussion was crisp, dynamic, and a bit bright. Piano sounded natural. Bass beats were nice and deep with good output and just a tad muddy. Vocals had sufficient resolution. Kansas: Carry On Wayward Son, vocals were fairly smooth. Percussion was very crisp, dynamic, and a bit bright. Kick drum had nice depth and output. Fresh Aire: Going To Another Place, strings were crisp and clean, dynamic, with good resolution, and were a bit bright. Flute was smooth with good air. Keyboard sounded natural. Bass drum had nice depth with good authority. Next up is the AKG N40. Twenty One Pilots: Heathens, percussion was crisp, clean, with good resolution and dynamics. Bass was very deep, tight, with lots of authority. Piano sounded natural. Vocals were natural with nice timbre and texture. Imaging was good, and they threw a big soundstage. Kansas: Carry On Wayward Son, vocals were nice and smooth with very nice texture and harmonics. Percussion was crisp and dynamic. Keyboard sounded natural. Kick drum had nice low end extension. They actually threw a nice sized soundstage with good imaging. Fresh Aire: Going To Another Place, had very good resolution of the strings, with a crisp clean sound. Flute was smooth with lots of air. Piano sounded very natural with good harmonics. Kick drum had nice tight impact that had good depth and authority. Now it's Audiofly's turn for their AF1120. Twenty One Pilots: Heathens, percussion was very crisp, clean, and dynamic. Vocals are silky smooth, with very good texture. Keyboard sounded very natural with nice low level harmonics. Bass was very deep, full, and hit really hard with clean tight impact. Kansas: Carry On Wayward Son, vocals sounded very natural, silky smooth, with a lot of texture and resolution of the timbre. Keyboard sounded very natural with good harmonics. Percussion was crisp, clean, and very dynamic. Kick drum had very good low end extension, with great clean impact and authority. Soundstage was big and imaging was spot on. Fresh Aire: Going To Another Place, strings were very crisp and clean with very good resolution. Kick drum was very tight, clean, yet very full with good depth and authority. Flute was very smooth with good air, and with enough resolution to make out the tonguing technique. Piano sounded very natural with nice harmonics. The Beyerdynamic Xelento Remote is next in line. Twenty One Pilots: Heathen, percussion was extremely crystal clear, crisp, and clean, with high dynamics. Vocals were smooth, refined, extremely natural with tons of resolution that revealed details not previously noticed. Piano was pleasantly natural with very nice harmonics. Bass was very deep, full, and played with lots of authority, and not only really clean but hit really hard! Kansas: Carry On Wayward Son, vocals were very natural with excellent texture and timbre with resolution to hear the breathing technique. I felt like I was right there in the recording studio with them. Kick drum had excellent depth and fullness with tight clean bass that played with tons of authority. Keyboard had excellent harmonics. Percussion was crisp and dynamic. I wasn't expecting this level of realism from a single dynamic driver. But since it's Beyerdynamic, I should have! Fresh Aire: Going To Another Place, strings were so crisp and clean, with excellent resolution, being able to hear the decay of the string. and was just a tad bright. Flute had excellent resolution, being able to make out the tonguing technique. Kick drum was very tight, and hit clean, yet was very full with great depth and resolution in the midbass, and played with lots of authority. Piano was very natural with great harmonics. Cymbals were crisp and very dynamic. Next in line is the is the Westone Signature Series W80. Twenty One Pilots: Heathen, vocals were so clear and clean it was like I was right there in the recording studio! Timbre and texture was excellent. Percussion was dynamic and crisp. Piano sounded very natural with excellent harmonics and spot on imaging. Bass was tight with very good low end extension and played with authority. Kansas: Carry On Wayward Son, vocals were extremely natural and smooth like honey, with tons of resolution. The texture of the timbre was out of bounds! And the realism was just bananas! Why go to a concert when you can have this kind of aural bliss as if you were just feet away from them. Keyboard was very natural with excellent harmonics. Soundstage was large and imaging was just as it should be. Bass had very good depth and extension, with clean tight punch with good authority. Fresh Aire: Going To Another Place, strings were extremely crisp and clean with excellent resolution, hearing the decay of the strings and cymbal, and very dynamic. Kick drum was tight with good depth and played with sufficient authority. Flute was silky smooth with plenty of resolution to hear the tonguing technique. Piano was very natural with very pleasant harmonics. Last but not least is the Ultimate Ears UE18+. Twenty One Pilots: Heathen, percussion was extremely crisp and clean with resolution so good I could hear the contact and slide across the snare drum. Vocals were smooth like honey, with excellent texture detail. Piano was extremely natural sounding with excellent harmonics. Bass was very deep, very full, hit very cleanly with lots of authority. This aurel nirvana provided details I had not noticed before. Kansas: Carry On Wayward Son, vocals were extremely natural and so silky smooth! And provided tons of resolution, being able to hear the tonguing technique. Percussion was crisp and dynamic. Keyboard was very natural with excellent harmonics. The soundstage was nice and big, and imaging was spot on, with the realism of being in the studio. Kick drum had very good low end extension, with big full sound and clean tight bass with lots of authority. Fresh Aire: Going To Another Place, strings were extremely crisp and clean, with excellent resolution, being able to hear the pic on the strings and their natural decay. Kick drum was very tight and clean with excellent low end extension and resolution in the midbass, playing with very good authority. Flute was so silky smooth, and had excellent air with plenty of resolution to hear the tonguing technique. Piano was very natural and had harmonics that was nothing short of aural candy! This has been one of the most difficult Headphone Shootouts that we have ever done. These are some excellent products, especially the higher priced models in this part of the shootout. Many of the performances really were splitting hairs. And some was just a matter of having a different sound signature. The Echobox Finder X1 had an overall sound that was a bit bright, with good resolution. The AKG N40 had better resolution, and improved bass response, thanks to the hybrid design that uses a dynamic driver for the bass. The Audiofly AF1120 kicks things up a big notch, with the use of six balanced armatures. The sound was more neutral that at times was just a tad on the bright side. At this level is where the sound gets really good. Next is the Beyerdynamic Xelento Remote. And this product got things really exciting with it's sound. It's sound was actually fairly neutral and at times got a touch on the bright side. They take resolution in the mids and highs to an absolute crazy level for a dynamic driver. The sound is just nothing short of bananas. The level of realism is out of bounds! And the resolution was almost as good as the best balanced armatures available. Bass response was beyond stellar. Next up is the Westone Signature Series W80. And here Westone took the sound up a notch to a level I had not experienced before. Having an extra pair of drivers for the highs, I was expecting the W80 to be more on the bright side. But it wasn't. The sound was more neutral, and the focus was more on the mids and highs frequencies with the quad drivers for the highs. The bass response was good, but the output and fullness was not quite as big as some others like the Beyerdynamic Xelento Remote.But the level of realism was at a level I had never heard before in a pair of IEMs! And unlike a savory rich desert that is just too rich to have much of, there's no having too much of the Westone W80's! And then last but not least it the Ultimate Ears UE18+. The UE18+ had a bit more of a warmer, more refined sound. The level of resolution was also stellar, as was the level of realism. Bass response was also good, just not up to the level of the Beyerdynamic Xelento Remote. And I absolutely love them being custom made for my ears, way too cool! As I previously stated, this was an extremely difficult listening session. They all sounded good. But some of these sounded so amazingly good, the best word to describe it is magical. And for the top products, top award of Editor's Choice just doesn't seem good enough. 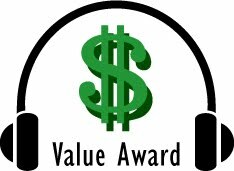 Based on their design, features, quality, and performance, the Echobox Finder X1 has earned our Value Award. 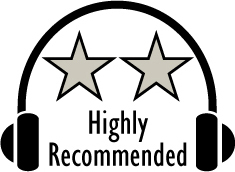 The AKG N40 has earned our Highly Recommended Award. While the Audiofly AF1120 was just a tad under the sound performance of the other three, at it's $699 price point, it truly aimed at the audiophile on a budget. And Highly Recommended just wasn't quite good enough for it. 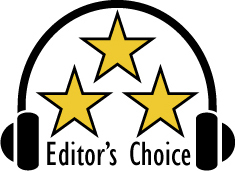 The Audiofly AF1120, Beyerdynamic Xelento Remote, Westone Signature W80, and Ultimate Ears UE18+ has earned our Editor's Choice Award. For more info and complete specs, check out their website at www.echoboxaudio.com, www.akg.com, www.audiofly.com, www.beyerdynamic.com, www.westone.com, www.pro.ultimateears.com.